Google re-entered the smartphone market in 2016 with its Pixel phones, and since then, there has been no looking back. While the company still doesn’t rake in enough sales to be counted amongst the top five smartphone makers in the world, it’s handset business seems to be growing pretty fast, particularly stateside, where it has been declared the fastest growing smartphone brand by the research firm Strategy Analytics. While the Pixel handsets have had their own share of problems, most notably the display related oddities that were taken care of by software updates, they became better with each subsequent generation. Although Strategy Analytics hasn’t revealed any stats, the company seems to believe that the Pixel could be the new iPhone and possibly lure some wealthy American iPhone users to make a switch. The Pixel handsets are particularly known for their cameras, and with the Pixel 3 and Pixel 3 XL, the search giant hasn’t just ironed out issues that the previous generations had, it also offered things such as a better construction, a better OLED display, and wireless charging. Just like how iOS is optimized for iPhone, Android runs better on the Pixel phones due to the ‘stock UI’ experience and users can also expect to get new software updates before others. Some people also find Google Assistant better than Apple’s Siri, and Pixel phones also get features and apps such as Intelligent Call Screening, Digital Wellbeing, and Duplex before other devices. While the Pixel range falls in the premium category, the pricing is still more competitive than that of the 2018 iPhone lineup (with the exception of the iPhone XR), and Google also has sales routinely, during which the phones are available at discounted rates. 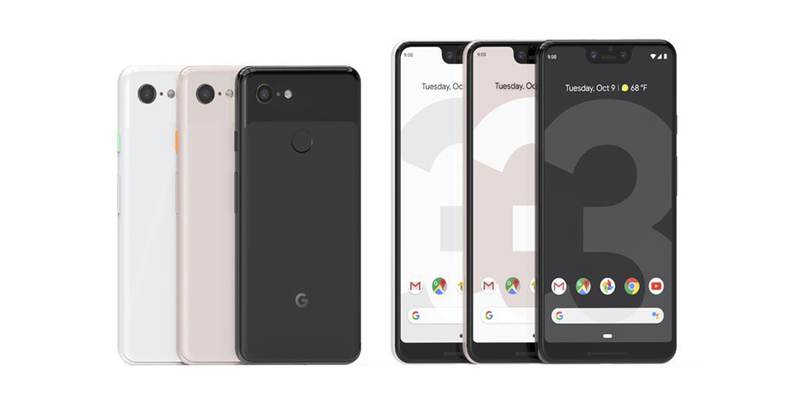 Also, unlike Apple which seemingly wants to stay a premium brand, Google is said to be prepping stripped down variants of the Pixel 3 phones which will be available at affordable prices. This can help the company gain more customers and perhaps enter other markets that are price sensitive. With all that being said, Pixel phones surely have a long way to go as iPhones still outsell Pixel-branded handsets by a wide margin. Moreover, Apple has a dedicated fan base, and it has a tight ecosystem of devices that integrate seamlessly which each other, something that Google still has to work on. Moreover, for customers who aren’t a fan of Android, the Pixel family would most likely never be an option. What areas do you think Google needs to focus on when its smartphone range is concerned to garner more sales? Let us know your thoughts down in the comments.